תגיות: נפש, Into the Soul, Kinneret Maayan, soul, spirit, spiritual, healing, mystery, body mind and soul, alternative, B00CYJ0Q8Q, פסיכולוגיה.. 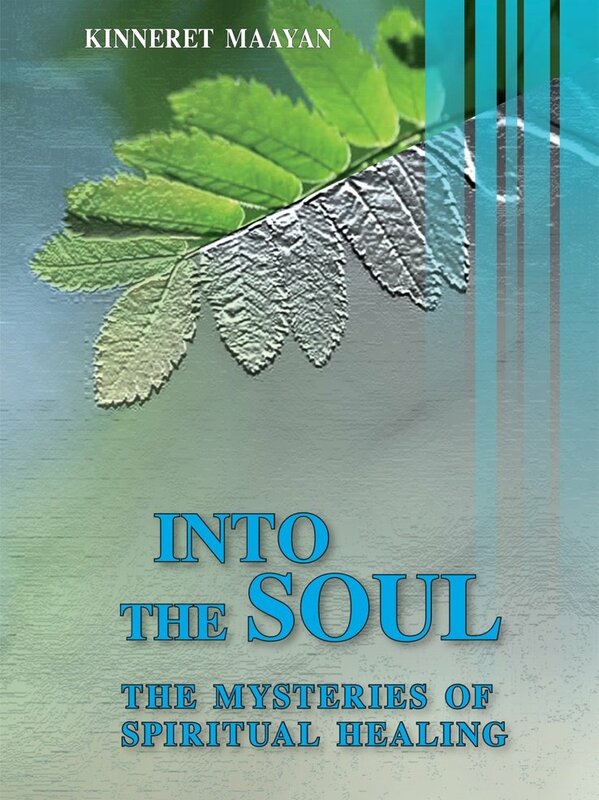 Into the soul – the mysteries of spiritual healing is about a journey into the recesses of the human mind, diving into the depths and soaring up to peaks of patients giving the reader insights, understandings and ways to be happy and balanced. It is especially aims to make the reader understand the twists and turns of life and how to untie life’s burdensome tangles and experience happiness and mental health. The book consists of two main parts. The author tells the story of her path through spiritual healing, life, childhood and adulthood. The second part deals with patients who came to her, to understand where do the difficulties in their lives stem from and the ways to cope withtheir problems and solve them. Finally, after having had the sense to empty out dusty old warehouses filled with obsolete,disturbing knowledge, I stirred up, from its prolonged sleep, the most basic need residing in me, and in all of us, the need to give true expression to our inner spirit – and play my own music in life." As of that moment, a door opened before me for the revelation of my healing potential and the awareness of the spiritual dimension which is the wonderful and infinite space of human experience and a tremendous resource for working with the world each of us sustains "
The book is also a testament of the complex path to connect and discover the author's healing powers and her personal mission, but mostly it describes the story and the unique healing method which she uses and teaches at her clinic. Kinneret Maayan, born in 1964, resident of Kfar Saba, Israel. MA in Jewish Philosophy and Kabbalah, and certified group facilitator. As of 2001 – specializes in body and spirit healing. Studied and teaches Buddhist healing and therapy. Owns a clinic for therapy and workshops. Into the soul – the mysteries of spiritual healing is about a journey into the recesses of the human mind, diving into the depths and soaring up to peaks of patients giving the reader insights, understandings and ways to be happy and balanced. This book opens a window to an exciting – hidden new area. It gives an experience of participation in a bold venture, different from everything you’ve ever known. This peek into the new world that spreads in front of you can be likened to a roaming penetration of a bulldozer, which cuts through a paved path and leaves behind it a trail of stones and scrap wood everywhere. The new world emerges from within a hidden golden fleece, and is exposed, surrounded by bright light, for everyone to see. There were years in which I purely observed reality – both external and internal. It was a precise work of exploring and touching the deepest secrets, the heart and soul of an energetic treatment and spiritual awareness. I saw fit to expose the hidden parts to an upper dimension that will provide taste and value to a theoretical discussion in the spiritual awareness. The interest in the meaning, the strength and power of the energetic healing particularly and the spiritual world in general, is a relationship I’ve developed over the years. This book describes, closely and carefully, the relationship I’ve developed with that cosmic energy that belongs to the twilight zone of the universe, which is exposed for brief moments as clear, accessible, defined and bountiful for us all. Literature of Spiritual Guidance and Alternative Treatment Methods exists nowadays everywhere and in every language, and sometimes these books may lose their virtues in the cynicism and the skepticism of our world. In the recent years, more and more studies support what had been documented centuries ago (in the ancient cultures), regarding the functions, efficiency and amazing success of the energetic treatment for an endless variety of problems and human challenges. I could have settled in the thought that the personal experience and process of awakening into a spiritual reality and the efficiency of the energetic treatment do not require words, and that any attempt to write about them might impair and underestimate their allure, since there always will remain a significant gap between the spoken word and the original process. This is not anyone’s private property, certainly not my own – the connection to the amazing world of energetic treatment obliges, in my sensation, transference and guidance to all – to anyone who is open-minded and aspires to discover within and around him the fullness of life. I hope the structured context between the processes of life and the awareness of them and between the semantic field of energetic treatment will not seem too pretentious, but invite any person who wishes it, to a lively, dynamic and extensive dialogue, laced with his personal life and that same endless, existential grace.